Brightline Gets OK For I-4 Median, But What's Next? 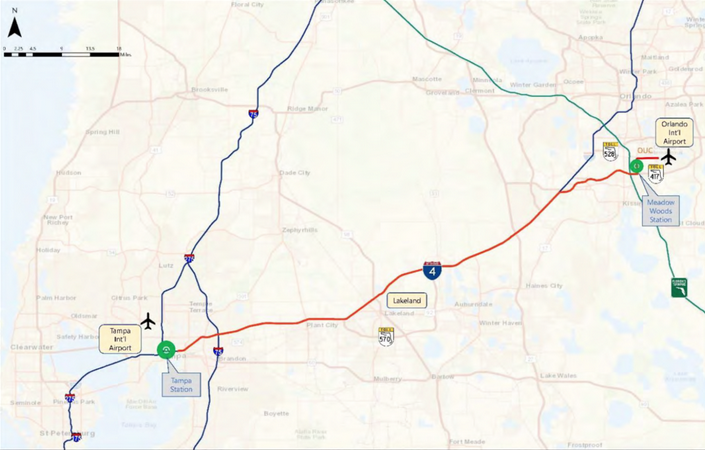 A high-speed rail line could soon connect Orlando and Tampa. Brightline got approval this week to negotiate for the right to use the median of Interstate 4. The grassy strip had been targeted for high-speed rail during the Obama administration, but federal stimulus money was rejected by Gov. Rick Scott in 2011, who said it was too risky and predicted the state would wind up subsidizing the project. Now, the private firm wants to connect Tampa with South Florida via Orlando. But the question remains: how would those riders continue to their destinations? In Orlando, the plan is to stop at a transit center being built at Orlando International Airport. But in Tampa, no such facility exists. The answer could lie in the transportation funding referendum that recently passed in Hillsborough County. That created a pool of money that could be used to build that "last mile" connection. Beth Alden, executive director of the Hillsborough Metropolitan Planning Organization, says they already have recommendations for those connections in their long-range plans. The path has already been laid for bus rapid transit, where buses run in interstate highway corridors and dedicated lanes from downtown Tampa to Wesley Chapel in Pasco County and the Carrillon district in Pinellas. "Making those kinds of connections," she said of the possibilities. "The kinds of connections that you would like to be able to make if you are landing in downtown Tampa on a Brightline train." Brightline was the only company that submitted a proposal to the state Department of Transportation to use the I-4 median. It has 90 days to work out a lease for the land. In its application, Brightline officials said the 88-mile route would generate about 16,500 temporary jobs during the three years of construction. It would produce about 1,600 permanent jobs, and stations would be expected in Orlando, Tampa and the Celebration and Lakeland areas. The trains would run about 80 miles per hour. Tickets would cost about $35 each way. The company currently operates daily trains between Miami and West Palm Beach. It is building more than 170 miles of new track from West Palm Beach to Orlando. On its website, company officials say construction is expected to take years, starting in December. The Tampa stop could be just off the Interstate 4/275 junction, where land was set aside for the federal high-speed rail project. Published reports say the company is also eyeing the new Water Street development in downtown Tampa, or near the proposed Tampa Bay Rays stadium in Ybor City. The Tampa expansion is expected to cost $1.7 billion. 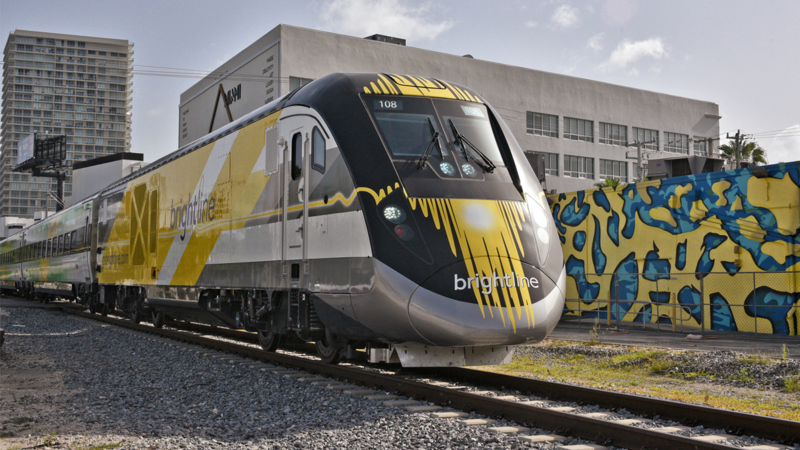 Brightline recently announced it will have a new partner, Richard Branson, and a new name, Virgin Trains USA. That provides deep pockets for a company that has been on shaky financial footing. In a regulatory filing, the company recently disclosed the loss of some $87 million the first nine months of this year. Passenger revenue, just $5 million, is far below the $24 million for the year originally projected.